Untitled from Sai V on Vimeo. 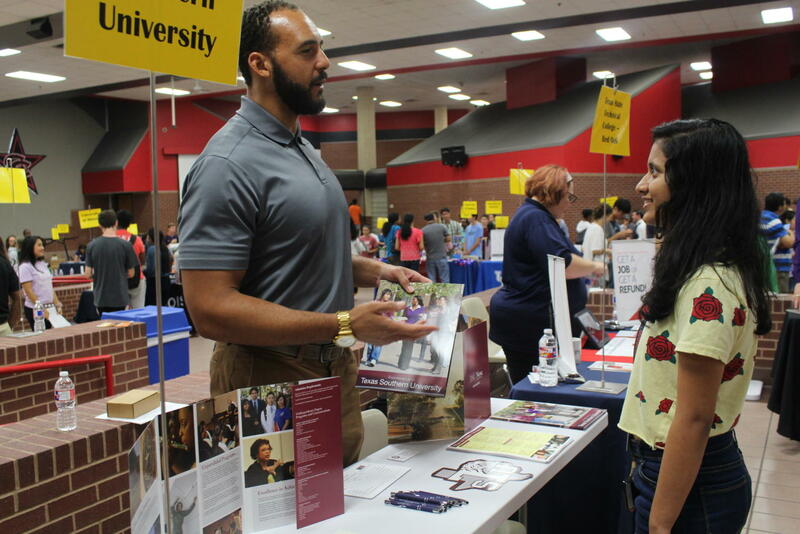 Derrick McKee from Texas Southern University explains to Coppell High School junior Anusha Karekar talks about the basics of the University such as the requirements and degrees they offer. On Thursday, Coppell High School welcomed 161 colleges to the lecture hall, commons, cafeteria and main hallway. College Night allows CHS students to gather important information and speak with representatives from their colleges of choice. 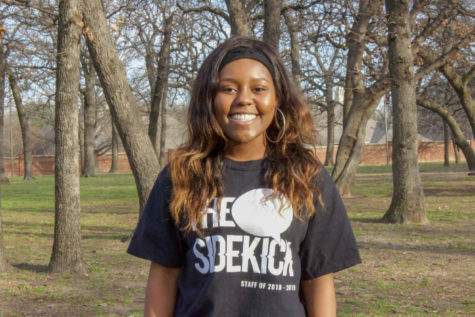 Dallas-Fort Worth recruiters for several universities, such as University of Texas, George Washington University and more were able to reach out to students and tell them more about the school they represent. “The more exposure [to colleges], the better for students,” University of Missouri representative Brandon Mills said. Representatives can sign up to attend the event through the website RepVisits or contact counselor Janaea Williams, who is in charge of organizing the fair. Another scheduling system used is Texas Association of Collegiate Registrars and Admissions Officers (TACRAO) which includes information regarding the fair and allows representatives to register. Not only can students, specifically juniors and seniors, learn about the colleges they are interested in, but can also learn more about the application process. 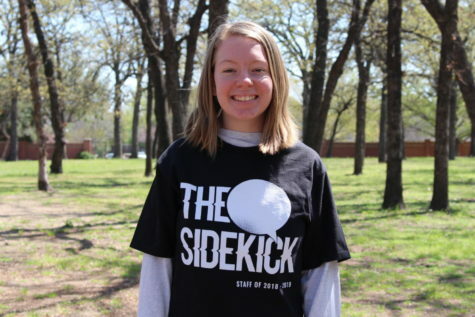 “It’s a really good way to learn about colleges, especially with such a diverse group of colleges that have come here, and just a good way to learn about the application process,” CHS junior Pragati Mundhada said. With this information, juniors and seniors can narrow down their decision for where they are heading after high school, and can properly prepare what they may need for applications.